DUI (Driving Under the Influence) charges are serious criminal charges that carry heavy fines along with possible confiscation of vehicle, or even prison time depending on the circumstances behind your arrest and conviction. 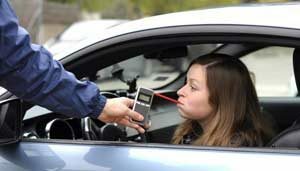 Any refusal to take a breathalyzer test is a mandatory loss of your drivers license. Without obtaining proper legal representation before your case goes to trial, it will likely just get worse. 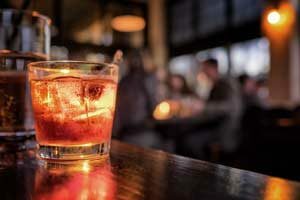 What is Washington State’s Definition of a DUI? A DUI in Washington means you were caught operating (any) motor vehicle while under the affects of alcohol, drugs, or both. This will apply to both legal and illegal drugs, and also includes prescription medication and/or over-the-counter drugs. Was under the influence of a combination of drugs and alcohol. The BAC limit is lower for commercial drivers (.04 or higher) and minors under age 21 (.02 or higher). It’s important to know that “drugs” doesn’t refer only to illegal narcotics. Medications that were prescribed or sold over-the-counter (depression medications, pain killers or sleep agents) can also create an intoxicating effect. Legally possessing the medication is not a defense. If you are arrested, the DOL (Department of Licensing) will automatically suspend your license anywhere from 90 days to 2 years depending on the nature of your arrest. It will happen 60 days from the date of your arrest; unless you request a formal hearing. DO NOT DELAY OR PUT THIS OFF. You’ll have to request a hearing within 20 DAYS of your arrest. Your drivers license will remain valid while you await your DUI court hearing. If you end up being convicted of a DUI in Washington, your driver license must be suspended for anywhere from 90 days to 4 years. This will depend on prior DUI offenses, and the severity of the incident (did the defendant run or assault the officer for example). Your license suspension will begin 45 days after your DUI conviction. Penalties for DUI can range from jail time, to probation with fines depending on how severe of a DUI and any prior criminal history. If this is the first DUI you have been charged with, it will likely get classified as a “gross misdemeanor”. This means the maximum punishment you can receive is 364 days in jail, and a $5000.00 fine. However, if you caused ANY serious bodily injury or death to another person, OR if you’ve ever been previously convicted of a vehicular assault or homicide, OR if you’ve had 4 prior convictions in the last 10 years, you will (probably) be charged with a Class C Felony DUI. This likely will mean prison time. If you or someone you care about has been charged with DWI (drunk driving), or DUI in Washington State, contact an experienced Olympia DUI lawyer. We can handle cases in Olympia, Tacoma, Seattle and throughout the Tacoma Bay area including the cities of Winter Park, Kissimmee and Windermere. Our Orlando DUI lawyer can be reached 7 days a week at (407) 500-0000.